➢ “Requiem doesn’t hang about. No gradual crescendo here, it’s straight into full horror, with deferential echoes of films in that genre. You could be forgiven for thinking you’d landed somewhere in The Omen franchise. Echoes of the past, skeletons in closets, loss and bereavement, will all play their part in Requiem … It is scary. It might have been scarier still if there were a little more sotto voce between the full-on fortissimo Hammer horror, for the imagination to get to work.” — The Guardian. ➢ “It’s an atmospheric and at times properly creepy tale about a young woman (and cellist), Matilda Gray, whose mother’s brutal suicide (brought on – let’s not beat around the bush here – by ghosts) draws her into the 23-year-old case of an abducted child and quickly leads to her taking up residence in a big old spooky house. 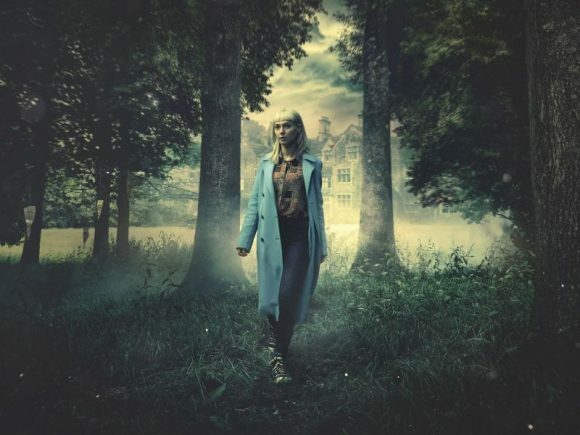 It’s as satisfyingly full of classic supernatural tropes as it sounds, addictive, and has a great cast (Joel Fry, Brendan Coyle, Joanna Scanlan, Tara Fitzgerald, Clare Calbraith) – led by Lydia Wilson and her chunkily chopped, immovable platinum fringe.” — Radio Times. ➢ “The word ‘hokum’ is of uncertain origin. Some say it is an Americanism, first recorded in the early 20th century and a portmanteau of ‘hocus-pocus’ and ‘bunkum’. But I have also been informed that it is a slang term for ‘hoc est corpus meum’, the sacred words for the consecration of bread and wine and a Protestant jibe against the Catholic faith. It is not necessarily pejorative. Requiem, for instance, a new supernatural drama, is definitely hokum, and I was gripped with a delicious fear throughout.” — The Telegraph. ➢ “There were so many echoes of classic horror movies in the opening 15 minutes of Requiem that this ghost story was in danger of disintegrating. Tales of the supernatural are only creepy if we understand what’s going on. Surreal collages are not scary. But Requiem got a grip on itself just in time.” — Daily Mail. ➢ “Despite horror’s omnipresence in cinema, British television has been somewhat deprived of jump scares … Enter the BBC and Netflix with their new six-part series Requiem, promising to be the most terrifying show ever broadcast on the Beeb. Either the worst is yet to come, or the terror bar has been set very low; episode one brought little innovation and even less tension. There were the obligatory bangs in the night, interference on the radio, mysterious deaths, but nothing to nudge the heartbeat above resting.” — The Arts Desk.